A dedicated journal-keeper, I have been covering pages of cheap A4 notebooks with scribble for almost twenty years, if not daily, then at least once a week. In them I record dreams and drafts, lists and summaries, plans and reflections, quotes and research, hopes and failures, complaints and successes. My journal is a place of meditation, where I can write myself out of ‘monkey-mind’, with its competing, pressing swirl of thoughts and ideas, into some sort of clarity and focus by getting rid of the rubbish in my head. It’s a place for writing myself into the state of being where a poem or story can begin to emerge. It’s where I write about what I want to write about, where I invite the company of the Muse, where I play, explore, experiment and revise. 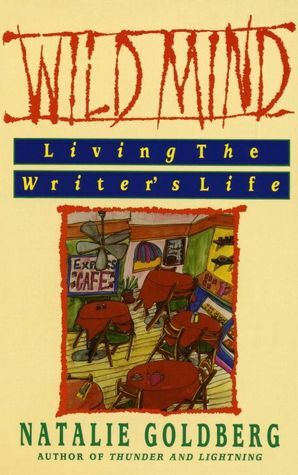 Natalie Goldberg and the rules for writing practice, Brenda Ueland and her exhortation to ‘keep a slovenly, headlong, impulsive, honest diary’ and Dorothea Brande’s advice for using a journal to harness the unconscious. 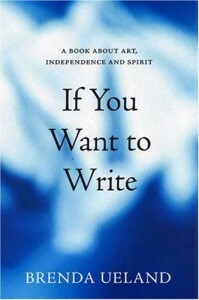 All of these employ the same technique of free, uncensored writing, emphasising its importance in nurturing creativity. Not long ago I spent four days at an intensive journal workshop learning about the Ira Progoff method of journal keeping. Progoff, who studied under Carl G. Jung, made a study of creative people to find what enabled them to create, and as a result devised a systemised approach to recording and dialoguing with different aspects of one’s life. It has been hailed by Joseph Campbell as ‘one of the greatest inventions of our time’ and lauded by Anais Nin, an inveterate journal-keeper: ‘All the elements we attribute to the poet, the artist, become available to everyone’. But I find myself still using my old style of journalling and haven’t made the switch yet to the Progoff method. It would feel like deserting an old friend. Journal writing can have its down side. If you use it to unload thoughts it’s important not to reinforce the negative too much, and to keep in mind that it can be a vehicle to encourage yourself. Julia Cameron suggests positive affirmations. When I feel bogged down it’s useful to reflect on the progress I’ve made, even if it’s just sending out work to a magazine or completing a second draft of a poem. If I get something accepted, win a prize, give a reading, or any other small success, I might stick a smiley face or gold star on the page for that day. As creative artists we need all the support for our creativity we can get. We need to be our best supporters. After nearly twenty years of journal keeping I have quite a stack of notebooks. Every now and then I go through them. Sometimes I find bits that can go into something I’m writing. A couple of times I’ve found almost fully-formed poems in a piece of free writing I’d forgotten I’d written. Gradually I’ve been whittling the older notebooks down, keeping the bits that are interesting or worthwhile and that I don’t mind others reading after I’ve gone, but shredding the rest to save my family the decision about what to do with it all. The strips of shredded paper make great mulch for the raspberry canes, food for worms in the compost bins, kindling for the fireplace – and I once found a blackbird’s nest in my garden, lined with scraps of a poem. Here are some of the books that have inspired me to journal. If you are also a journal addict, what are some of your favourites? This entry was posted in All posts, Lyn's writing and tagged creative writing, dorothea brande, ira progoff, journaling, natalie goldberg. Bookmark the permalink. Excellent post on journalling. Sounds so much like the story of my journalling life – except I haven’t started sorting and shredding yet. That will come later. Have finished 3 books of ‘The Artist’s Way’ and about to embark on ‘Vein of Gold’ with a group of women friends. Love Julia Cameron’s work. I love the haiku about the nest with the interwoven poem, Lyn!